Open Tues & Wed during busier season! The Inn on Newfound Lake has been welcoming travellers since 1840. Still maintaining it's historic charm, the Inn greets it's guests with a full veranda overlooking the spectacular sunsets on the lake. Travel & Leisure Magazine has rated the Inn one of New England's top 10 places for a romantic getaway. The Pasquaney Restaurant has been rated one of the top 5 restaurants in New Hampshire. Chef-created menus feature fine dining and lighter pub far that can be served in the formal dining room or Wild Hare Tavern. Exquisite decor, fine linens, personal service and stunning views enhance your dining pleasure. Relax in the tavern by a crackling fire, share good humour at the bar or sip a cocktail amidst art and antiques by the fireplace in the front sitting room. Enjoy spectacular sunsets over Newfound Lake from the veranda and diningroom. Take a dip in the fresh water off the Inn's sandy beach to start your adventure in the Newfound Lake area! 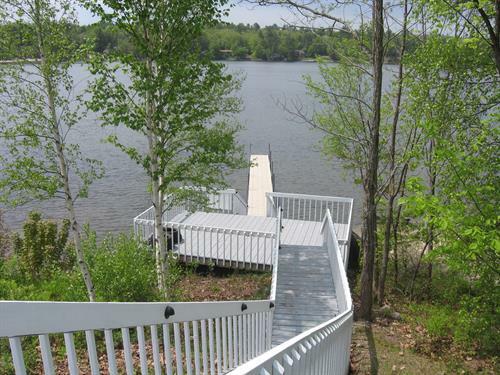 The Inn boasts 250 feet of lake frontage!